Functions as intended. (1) washing machine (1) hose (1) manual. Color: White. Keep this in mind when buying an item as a gift or if you are a collector. We personally understand the importance of saving money while getting a quality product. Model HLC1700AXW. Bleach Dispenser Yes. Type Front Load. Capacity 2 Cu. Soak Setting Yes. There may be other minor imperfections present that can go unnoticed in certain lighting conditions. The unit is new. Washing Machine Mini, Haier Codo Portable Cleaning Kit Mini Washing Machine. Condition is New. Shipped with USPS First Class Package. Hair HLP21N pulsator 1-cubic-foot portable washer. With its capacity of 7 kg wash clothes for the whole family is no longer a problem. - Width < span class = notranslate ' > 59.5 cm. -Height 85 cm. -Depth 55 cm. delicate without any risk of damaging them. 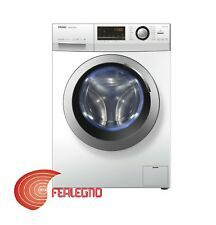 With its capacity of 12 kg washing clothes for all the family is no longer a problem. - Width < span class = notranslate ' > 59.5 cm. -Height 85 cm. -Depth 55 cm. delicate without any risk of damaging them. 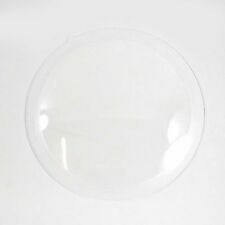 This blower wheel (part number WD-2750-02) is for washer/dryer combos. Blower wheel WD-2750-02 rotates to circulate air through the drum. Unplug the washer/dryer combo before installing this part. Wear work gloves to protect your hands. This heater fan motor (part number WD-4550-88) is for washer/dryer combos. Heater fan motor WD-4550-88 rotates the fan to circulate heat during the drying cycle. Unplug the unit before installing this part. Disconnect the power before installing this part. Wear work gloves to protect your hands. Product Details. 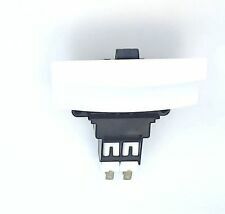 This thermostat (part number WD-7350-08) is for washer/dryer combos. Unplug the washer/dryer combo before installing this part. Wear work gloves to protect your hands. Product Details. This door lock (part number WD-4390-12) is for washers. Door lock WD-4390-12 prevents the washer door from opening during the wash cycle or spin cycle. Unplug the washer before installing this part. Haier (HLP21N) Portable Compact Washing Machine (washer). In great condition. Bought in September 2017 from Target for $217 dollars. From a pet free and smoke free home. Moving sale. Thank you for looking. Local pick up only. Haier (HLP21N) Portable Washing Machine. Condition is Used. Local pickup only. Con la sua capacità di 7kg lavare i vestiti di tutta la famiglia non è più un problema. - La classe energetica A viene migliorata fino ad un ulteriore risparmio del 40%. - Profondità 55 cm. - Altezza 85 cm. Con la sua capacità di 12kg lavare i vestiti di tutta la famiglia non è più un problema. - La classe energetica A viene migliorata fino ad un ulteriore risparmio del 40%. - Profondità 55 cm. - Altezza 85 cm.